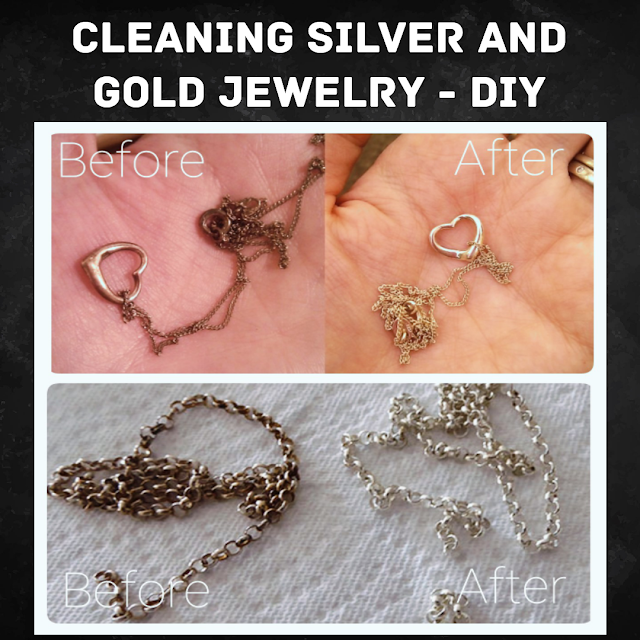 Line a bowl with aluminum foil and fill it with 1 cup of hot water.Add little baking soda, salt, and stir.Soak silver jewelry into the bowl for 10-15 minutes.Then, rinse the jewelry in cool water, dry it with soft cloth until shiny. Soak jewelry in white vinegar bath for 15 minutes flipping it occasionally. Remove and Scrub if needed. Make a solution by mixing 1cup of warm water and 1/4th cup ammonia.Soak the jewels in it for 15 minutes and pat it dry with soft cloth.